As weddings are getting more and more personalized each weekend, we’re seeing couples adding their favorite dessert to their reception menus… ice cream! What was once thought of as something you scarf on your couch at night in front of the TV or something you walk around with on a hot day, ice cream has become much more trendy. Thanks to San Francisco brands like Bi-Rite Creamery, Humphry Slocombe and our Dogpatch neighbors, Mr. and Mrs. Miscellaneous, ice cream is making a big statement and weaving its way into being a meaningful part of our couples’ relationships. It makes sense their favorite ice cream finds its way into their wedding dessert menus, too. Last September, for example, after cutting their wedding cake, we served a scoop of the happy couple’s favorite ice cream next to the cake slices. All the guests were pleasantly surprised by the wedding cake a la mode, which is quite non traditional. 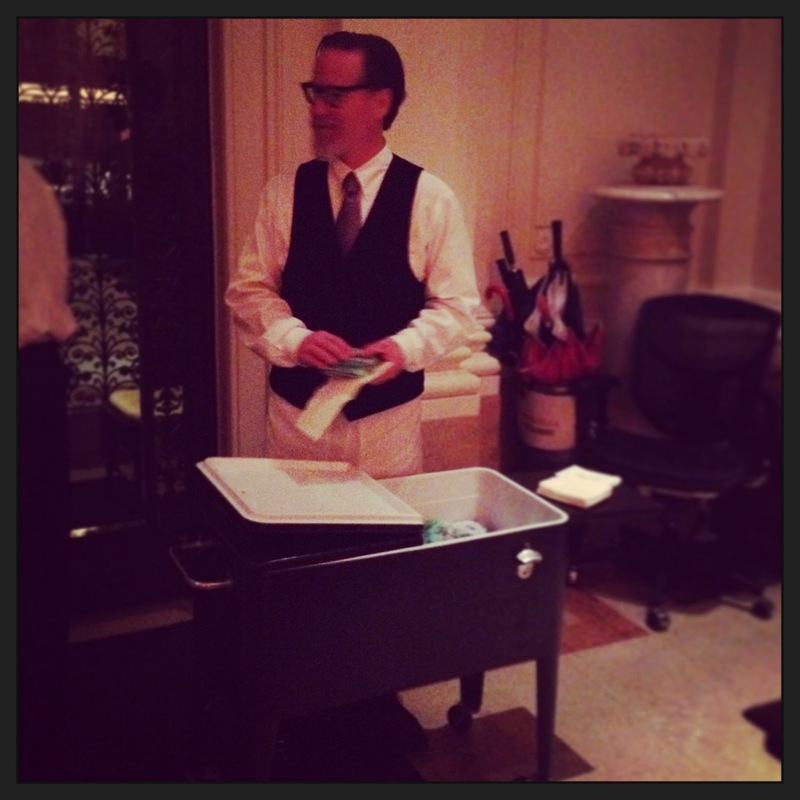 Two weeks ago as wedding guests exited a catered reception at the Flood Mansion they were handed It’s-It ice cream sandwiches (a San Francisco classic) by one of our servers standing next to our vintage ice cream cart. Guests were faced with the tough decision of vanilla, mint or both! And just last weekend our couple at the Maritime Museum took their ice cream wedding to a new level by serving a magnificent three-tiered ice cream wedding cake by Silberman’sIce Cream in San Rafael. Our servers could barely get out of the kitchen with the trays of cut cake because they were constantly swarmed by guests wanting to try it (for the first, second and third time to taste each level). Our next ice cream adventure will be on July 6th when we will be tray passing mini ice cream cones (along with salty French fries) to guests at Late Night Munchies. Have you been to any weddings recently where you were able to indulge in your favorite ice cream treat? We’d love to hear!